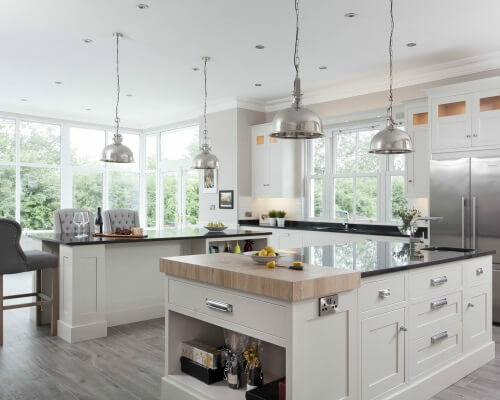 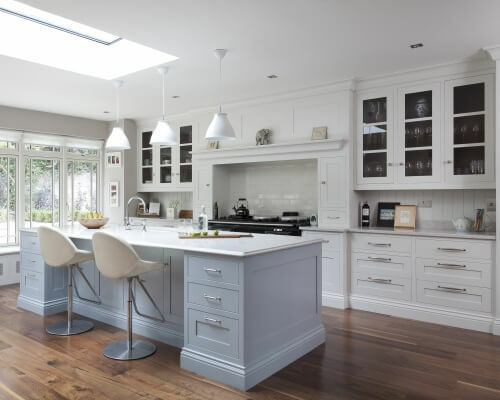 This hand painted inframe kitchen was designed to sit in a modern light filled extension. 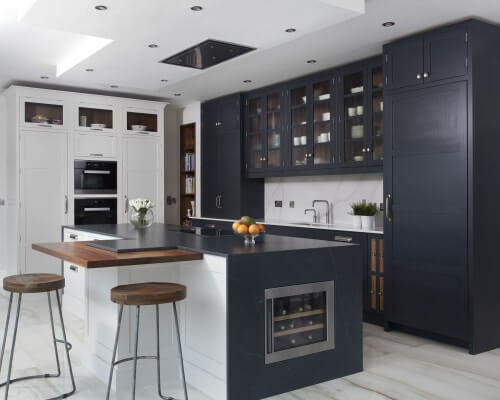 Our clients wanted a bespoke, handmade kitchen but with a contemporary design. 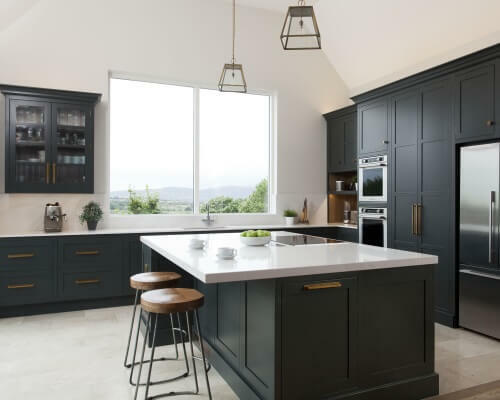 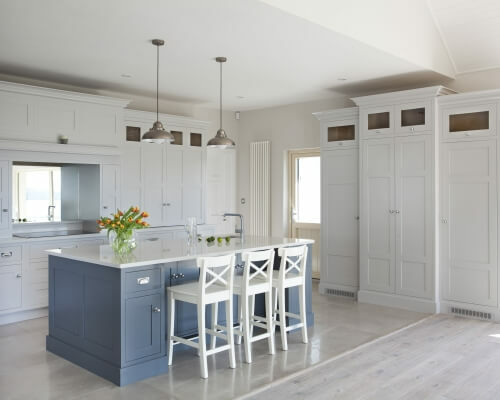 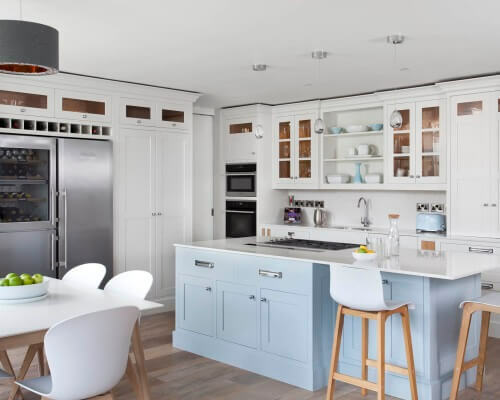 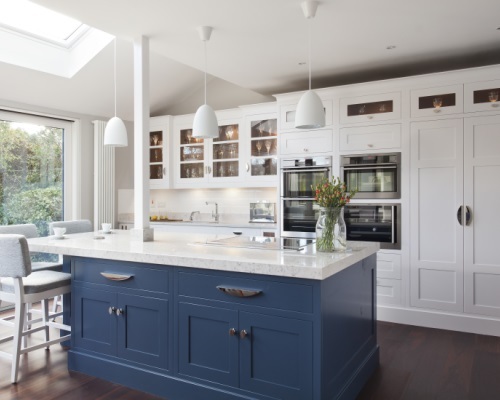 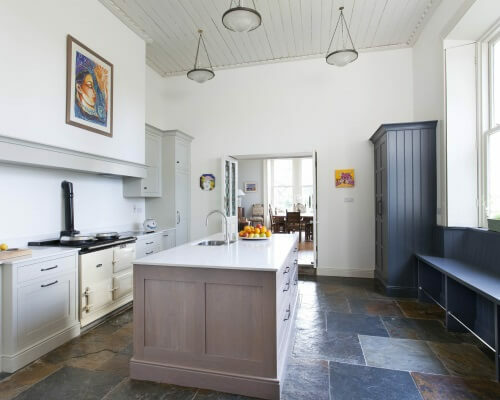 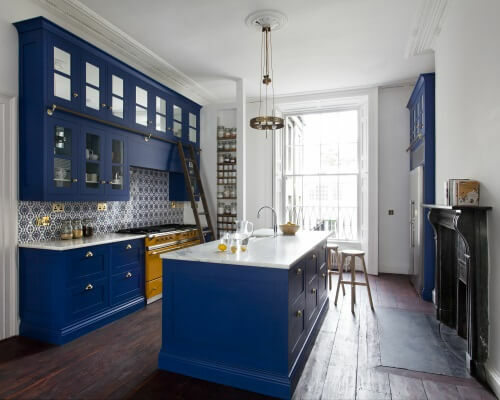 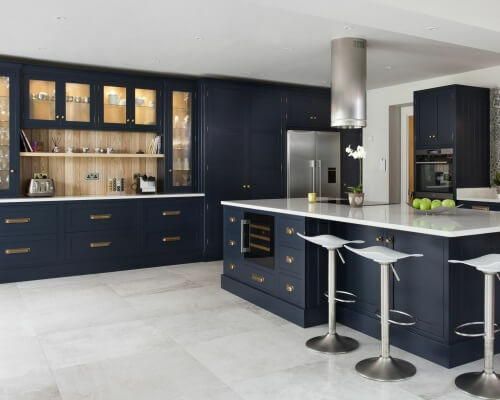 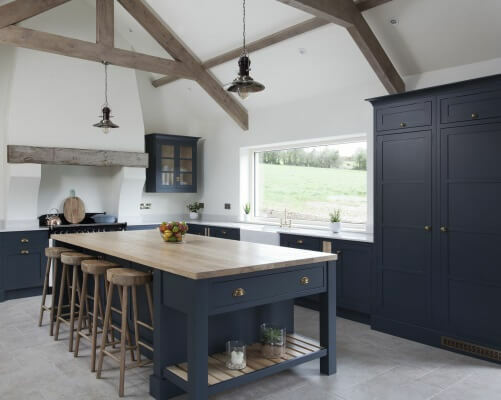 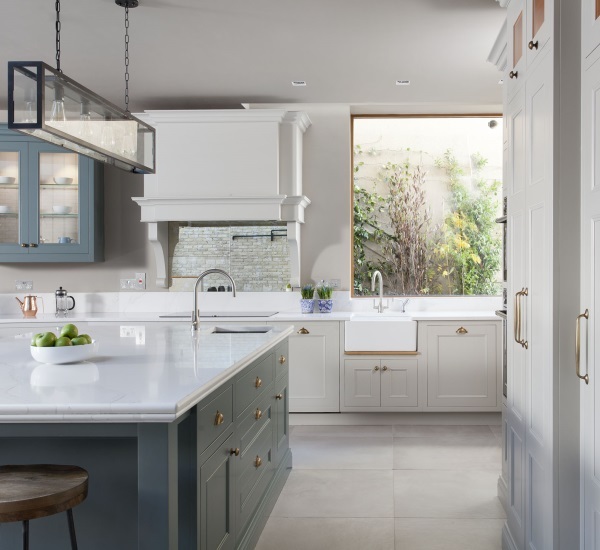 The main cabinetry is painted in Wevet by Farrow and Ball with the island painted in striking Stiffkey Blue. 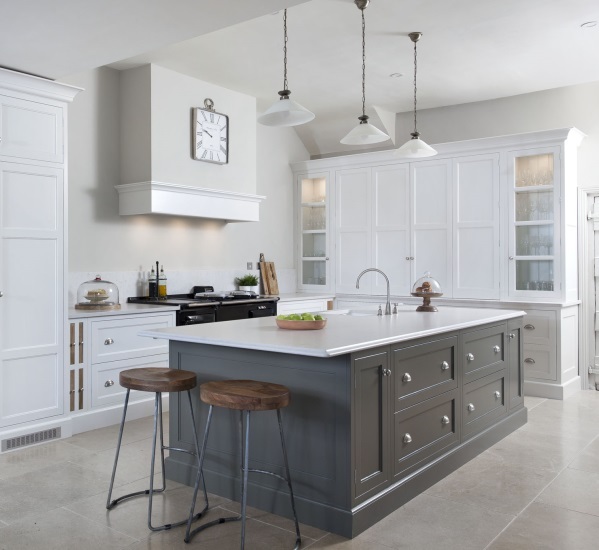 Distinctive ‘Snowdrift’ handles add to the modern feel. 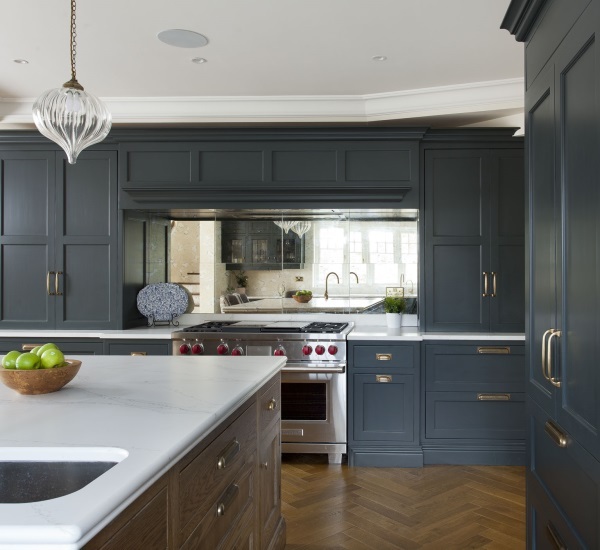 30mm Silestone Lyra have been used on the main cabinetry with a 60mm piece used on the island giving a truly bespoke and luxurious finish. 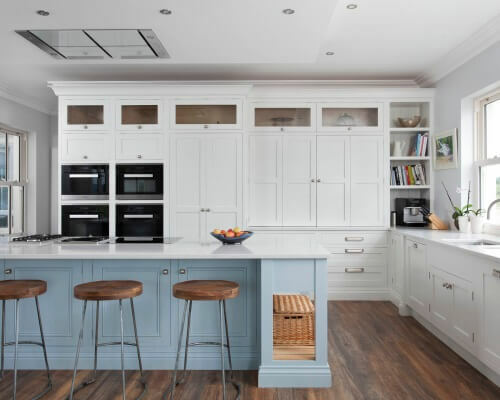 All of the internals are constructed from solid walnut and feature an abundance of clever storage solutions.